With about 200 shipwrecks, Barbados is a dive destination that captures the interest of divers looking for something different and has something to delight divers of all experience levels. Carlisle Bay Marine Park is a calm bay which is home to numerous wrecks…. The Eilon (sunk in 1996), Ce-Trek (a cement boat sunk in 1986), the Bajan Queen (party boat sunk in 2002) and the Cornwallis (a freighter sunk during World War II and relocated to the marine park). There are four wrecks in the bay, and all are suitable for novice divers. The well-preserved coral environments attract sea turtles, parrotfish, rays and eels of many varieties, and time under the water is only depth dependent as the tepid sea rarely requires divers to wear wetsuits. SS Stavronikita – The most famous wreck on the island is a purposely-sunk Greek freighter, now part of the Folkestone Underwater Park. It hosts a rainbow of huge tube and rope sponges. The Stavronikita lies in 36 metres/120ft of water with the stern at 30 metres/100ft and the bow at 21 metres/70ft. Pamir – Another purpose-sunk wreck, the 50-metre/165-foot Pamir has wide openings for divers to peer into and sits in around 18 metres/60 feet of water. Sitting upright in a sheltered spot, this wreck provides fish, fauna, and fun in one experience. 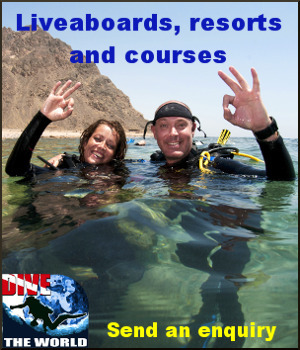 This is a good dive for beginners and a good warm up dive for the Stavronikita.